It has been a momentous year for the diamond auction world, with several world record diamond prices achieved across numerous diamond colors and size categories. Progress was achieved as projected and investors were able to satisfactorily acquire promising investment diamonds for their portfolios, including several very important big-name stones. The year in diamond and jewelry auctions has concluded with the traditional Sotheby’s and Christie’s auctions in New York. Both auction houses had lower sales than previous years, about which we have numerous theories. For several months, the auction houses will stay relatively quiet until the auctions come back full swing in the Spring. Christie’s ended up selling $51,253,625 in total, a 14.13% drop from last year’s total sale of $59,685,125. I attribute to the drop of sales due to two very significant pieces’ failure to sell. 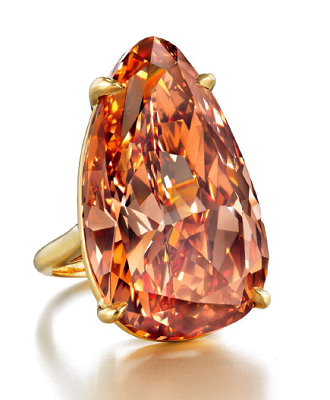 The first is the 54.36 carat Fancy Deep Brownish Pinkish Orange diamond with VVS2 clarity. It was valued at $2-$3 million total. 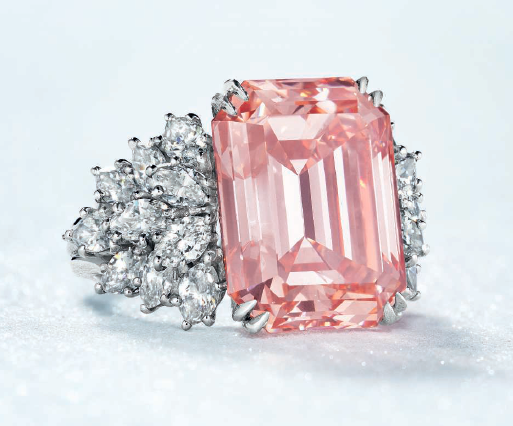 The second item that went back to its original owner was the 12.88 carat Fancy Intense Orangy Pink, which was valued at $3.5-$4.5 million. Those sales would have added tremendously to Christie’s bottom line had they been sold. It will be interesting to see how long their respective owners will wait before trying to sell them again. 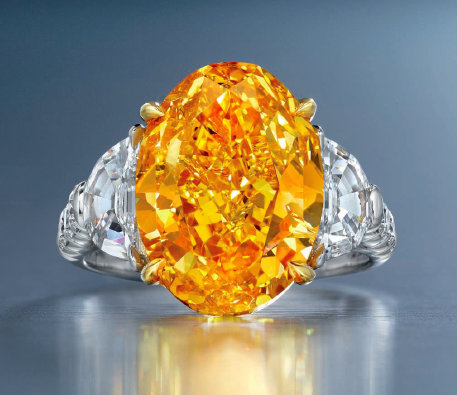 In contrast, the 6.94 carat Fancy Vivid Yellowish Orange Diamond was sold for $1,567,500 or $225,865 per carat. This is a very strong price especially given that it was valued at a price between $800k to $1.2 million. It achieved a price that was a 30% premium above the high estimate. 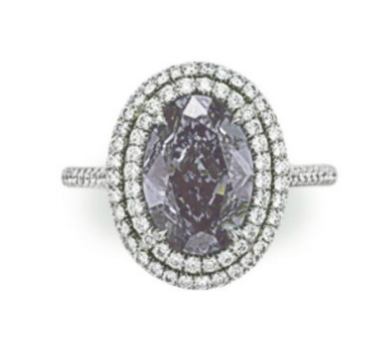 Similarly, the rare 3.03 carat Fancy Violet-Gray IF diamond sold well. Its final price was $427,500, which was just above the mid-range of the valuation of $300-$500k total. This is a true collector’s item due to balance in color, and rare clarity and validates its final price well. Sotheby’s had a very modest sales event as well. Last year’s total sales was $52,222,500 total while this year it was just $25,123,750, a drop of almost 52% Year over Year. Nothing very specific can be attributed to the low sales, other than the fact that not many unique items were offered for sale. 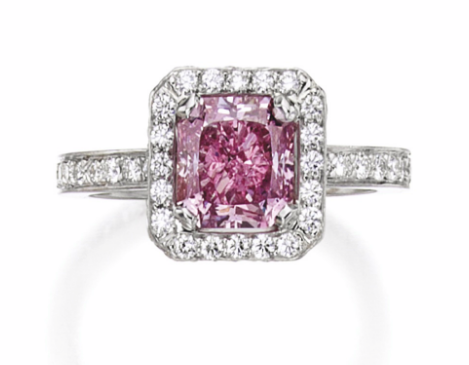 The single item that I found of interest was a rare 2.22 carat Fancy Intense Purplish Pink diamond with SI2 clarity. This size of this color is rarely seen at auction. The last time a 2 carat FIPP was auctioned off was a 2.29 carat FIPP that was sold on May 28, 2013. The current 2.22 carat diamond was sold for a total sum of $528,500 or $238,063 per carat, while the 2.29 carat diamond achieved $137,348 in 2013. This is quite an increase of value over a 3 and a half years (a 73% jump). As the 2016 auction season comes to an end, we have seen many new world records achieved. Many of the record setting diamonds that were auctioned were the largest of their color ever offered at auction. In the coming weeks we will report a summary of 2016, as well as our thoughts for the 2017 season. Let us know what you think 2017 will bring for both colorless as well as fancy color diamonds in the comments! Global Diamond Investment Review – Was 2016 What The Industry Hoped For?